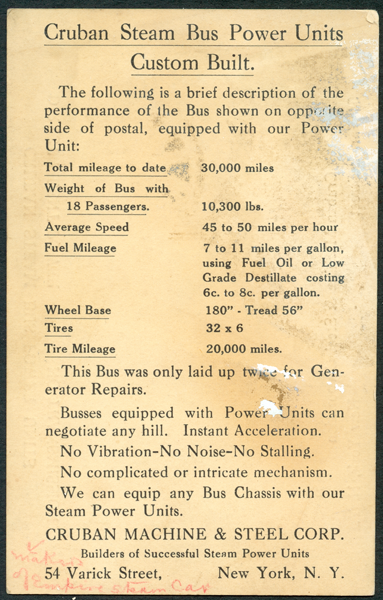 H. H. Stewart collected information on many other steam car companies and actively kept up with their activities. Some of this material survives. This is the Cruban Machine & Steel Company material. 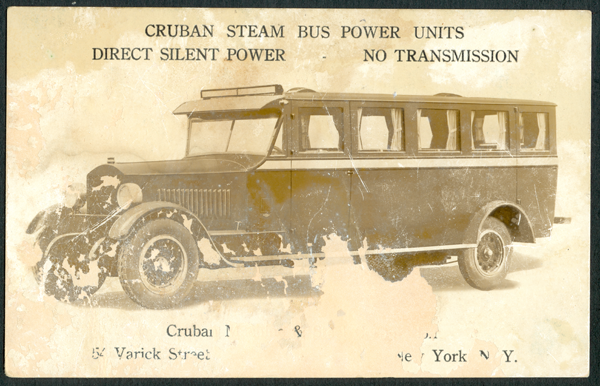 This Cruban Steam Bus Card has seen better days. The surface is deteriorating and parts of it have fallen away. On the reverse, someone has written in red pencil makers of Empire Steam Car.